A new 50 Years of Sgt. 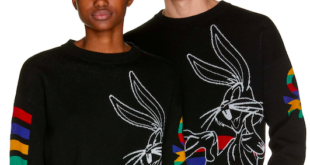 Pepper’s Lonely Hearts Club Band capsule collection is heading to Selfridges stores in London, Birmingham and Manchester. 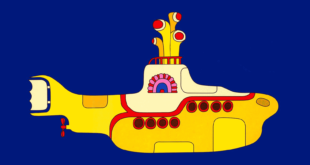 The launch, which coincides with the 50th anniversary of The Beatles’ Sgt. Pepper’s Lonely Hearts Club Band album, will feature as part of Selfridges’ Music Matters campaign. The campaign aims to celebrate the relationship between music and style, which will run in store from June 26th to October 18th. 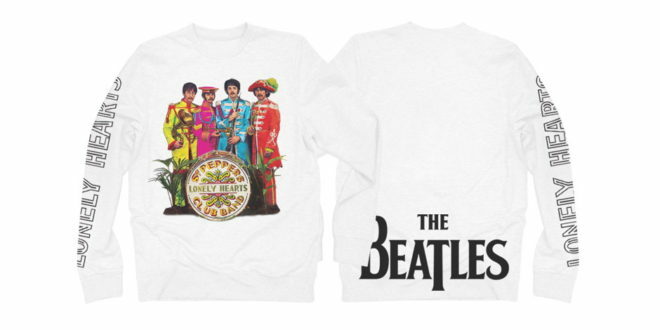 Produced in association with Bravado, under licence from Apple Corps and brokered by Apple Corps Agent, Caroline Mickler Ltd, the collection spans t-shirts, jumpers, hoodies and a denim jacket.